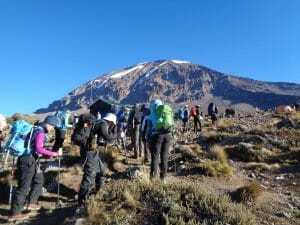 The best route and acclimatization for climbing Kilimanjaro. After climbing Kilimanjaro on all the routes, with different amounts of time for acclimatization. In all the different seasons for the past 12 years. There is one route and acclimatization schedule that stands out above all the rest. Read some REVIEWS. I have climbed Kilimanjaro 30+ times and usually climb 4 times per year. We run about 20 trips to climb Kilimanjaro annually. 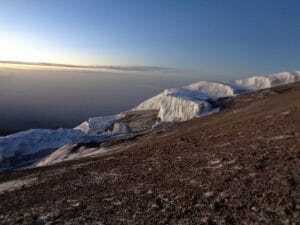 We have put over 2,000 people on the summit of Kilimanjaro. We have developed a service, set up and crew on the ground to be proud off. READ SOME of our Facebook reviews. 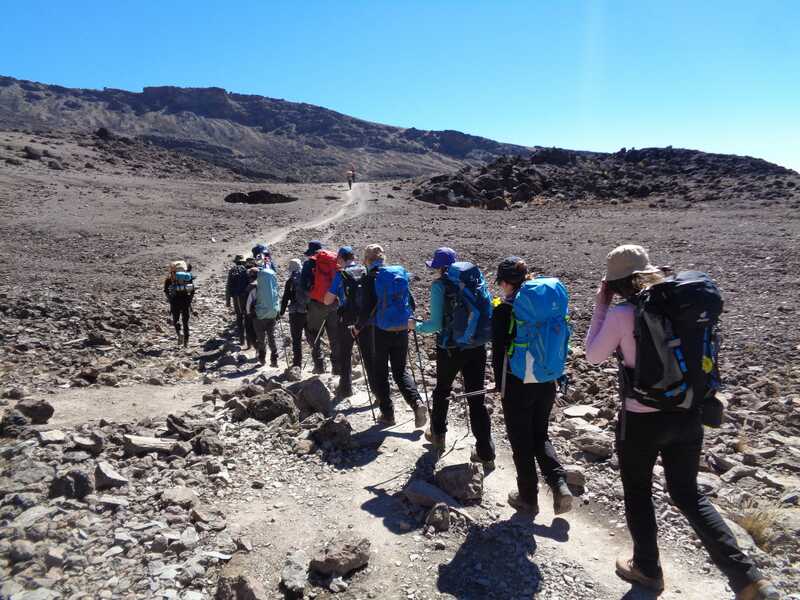 As I think back on the different routes and time spent on Kilimanjaro, I think about the scenery, wildlife, less traveled path, safety, the experience people and I had on the mountain, the best route for our staff, so they are not pushed to the limit. 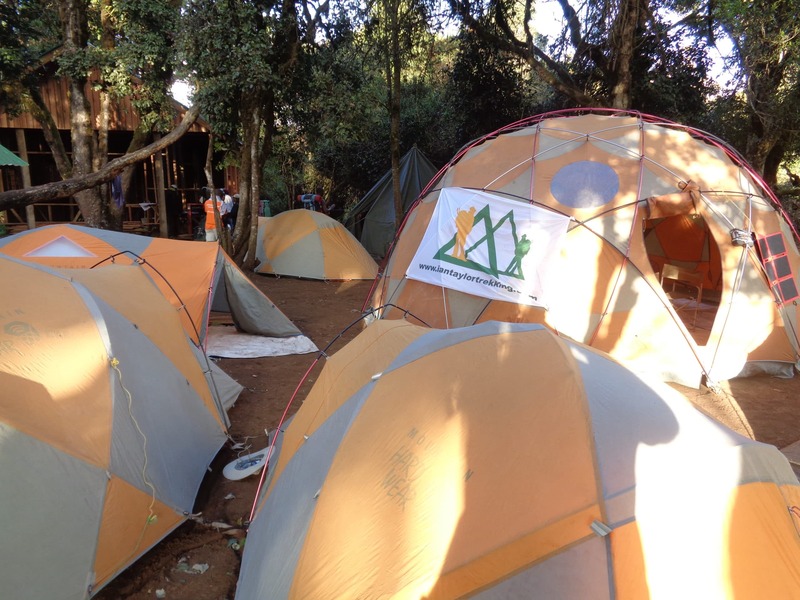 I think about the food on our climbs, the tents, we use, the service before and on the Kilimanjaro trail and the getting the most of the Kilimanjaro experience. I am drawn to one clear winner. 8 days on Kilimanjaro via the Lemosho route wins hands down. Why is the Lemosho route the best? 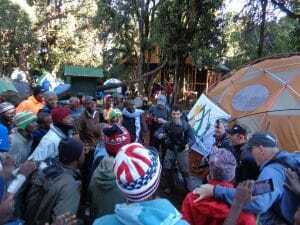 In terms of safety, acclimatization, getting to experience west to east travelling across the mountain and seeing the different faces of Kilimanjaro. The Lemosho route has it all. In terms of safety, the Lemosho route is best. Between Day 2 Shira 1 camp (3,500m) and Day 3 Shira 2 camp (3,850m) there is an emergency evacuation road. As we come up from Camp 1 Big Tree camp (2,800m) onto the spectacular Shira Plateau on the western side of Kilimanjaro. The reason this is important is, if we are going to see signs and symptoms of altitude related sickness. We are going to see it in this location. 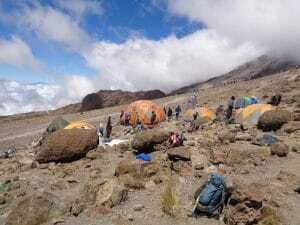 On day 3 we get up to 4,000m above Shira 2 camp. If people have headaches, stomach problems, nausea, dizziness, vomiting we are going to see it here in the initial stages of acclimatization. If someone has 3 or more symptoms of altitude sickness at Shira 2 camp (3,850m) it is easy to get them lower by vehicle in a very quick period of time. This is not available on any of the other routes on Kilimanjaro. In terms of scenery, the Lemosho route has the best chance at experiencing wildlife, monkey’s walking through the first camp at big tree (2,800m) seeing Zebra’s and Giraffe’s on route to the Londrossi gate where we start from. The rain forest is a life at night at the first camp as we camp in the dense forest. Other routes to not have this experience. Kilimanjaro has 3 volcano’s Shira, Kibo and Mawenzi. On the Lemosho route you get to experience them all. The view from Shira 2 camp (3,850m) down across the impressive ridge line of the Shira volcano is only experienced on the Lemosho route. The Lemosho route is the only route that encompasses the 3 volcano’s. In terms of acclimatization, the Lemosho route has it all. Spending 2 nights on the Shira Plateau at 3,500m and 3,850m gives the body time to adjust to the low levels of oxygen at this elevation. We never adapt to low levels of oxygen, but if we push too high too fast we run the risk of altitude sickness and ruining the whole trip. Altitude is cumulative, the higher you go the hard it gets. Most people can easily go to 3,000m/11,000 feet from sea level over 2 days, they might or will experience minor headaches, shortness of breath etc…. if I was to take you to 5,000m/17,000 ft from sea level you would be dead within 24 hours. If I was to take you from sea level to the top of Mt. Everest 8,848m/ 29,035ft. you would be dead in 5 minutes. LOW LEVELS OF OXYGEN ARE DANGEROUS. You need more acclimatization to safely move higher. Above 3,000m/11,000ft and you should not exceed 700m/2,000ft jumps in altitude on any given day. 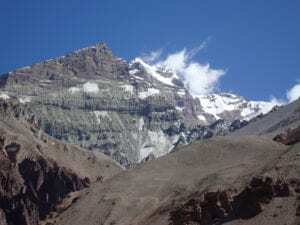 It is ok for the summit night as we will only move into the lower realm of the death 5,500m/18,000ft where nobody acclimatizes and nothing lives for a number of hours, before returning to lower altitude. 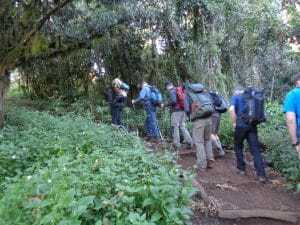 The Lemosho route provides a safer passage to high altitude and gives you the safest and best route to climb Kilimanjaro. 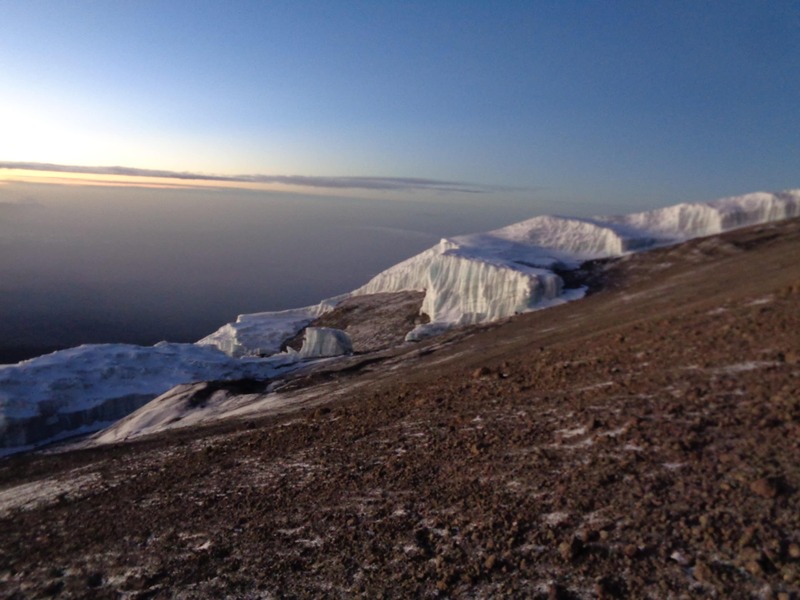 If I look back on the last 10 climbs that Ian Taylor Trekking managed on Kilimanjaro. 8 teams had 100% success. One of those groups had 19 people and all 19 made it to the summit. Most of our groups have a maximum group size of 10 people per group making them safer and easy to manage. The Lemosho route gives you more peace of mind and more chance at success reaching the summit. Annually the success rate climbing Kilimanjaro in 42% of people make it to the summit. You trained and prepared for months even years, saved up for this once in a lifetime experience to stand on top of the world’s highest free standing mountain. Why would be jeopardize that chance at success, why would you cut corners? Because of the cost I get it, but cutting corners, on equipment, food, safety, experience and cutting the staff out of proper pay are not the right way to approach Kilimanjaro, mountains and mountaineering in general. 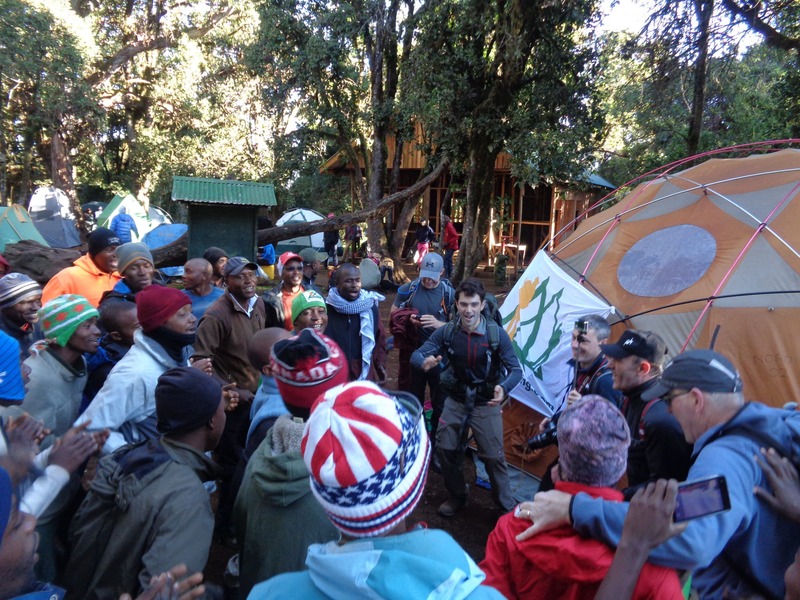 I have seen real change in people, life changing moments happen on Kilimanjaro. I also see on every trip, lots and lots of sick people, people and local guides pushing the pace, people cutting out days trying to rush up and down the mountain over 5 or 6 days. This will lead to a terrible experience climbing Kilimanjaro. You will remember the bad experience for the rest of your life. Pick the 8 day Lemosho route for your Kilimanjaro climbing experience. Make it easier on the staff carrying all the equipment up and down the mountain. Give yourself the best chance at reaching the summit, and safely back down again. We part of a team reaching for the personal and team success. We want everyone to reach their potential and prove to themselves that they can stand strong and limited themselves by lack of experience. Trust our knowledge and experience. I have made all the mistakes climbing Kilimanjaro so you don’t have to. Come trained, prepared and ready for Kilimanjaro. Ian Taylor Trekking will provide the service that will exceed all expectations. Check out our UP COMING TRIPS to Kilimanjaro. READ MORE about preparing and training for Kilimanjaro, follow us on TWITTER and feel free to contact us 5 days a week. We are here to answer all your questions. 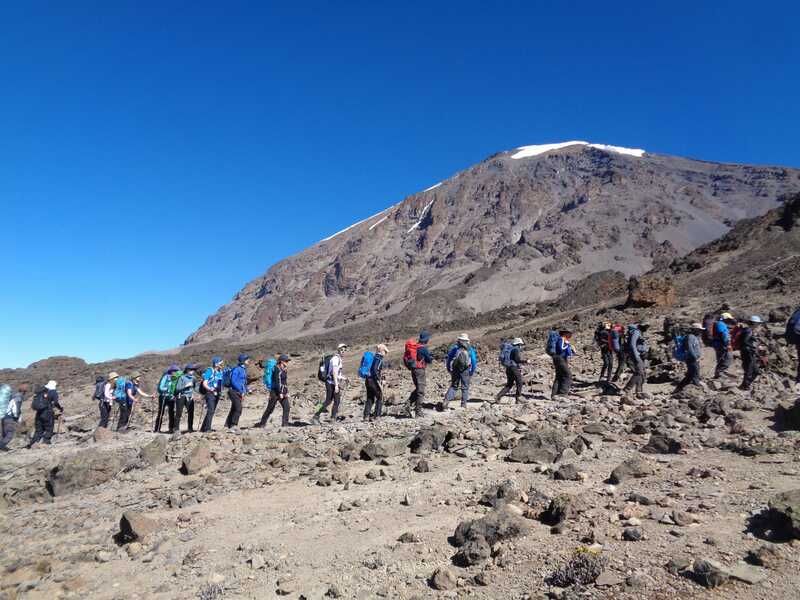 All our staff have climbed Kilimanjaro multiple times.